With the Avinair Spitfire 3 x 1 HDMI Switcher you can conveniently switch between three HDMI sources to send out of a single HDMI output. 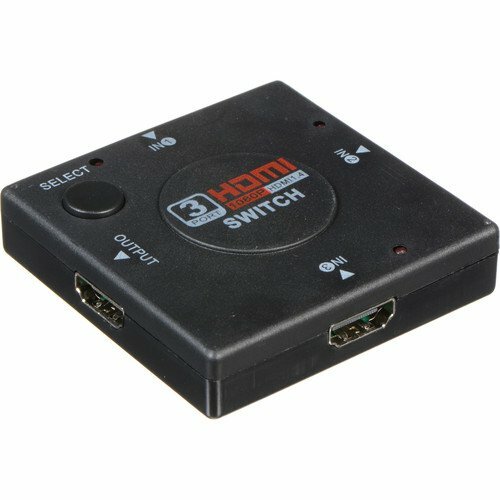 This switching device is useful in home theater and other consumer applications where more HDMI inputs are required. Use the simple push button to select which input will drive the output. If only a single input is active, the switcher will automatically switch to the active input. An LED indicator displays which input is currently selected. HD and SD sources are accepted, and HDCP 1.2 encryption is passed through to the display. Box Dimensions (LxWxH): 7.3 x 5.2 x 1.0"